automatically populate our sponsor website page in Wild Apricot." By customizing your membership application forms to only show certain levels, you can also change the types of information you collect for different types of members. Here is a brief overview of how to split your membership levels into multiple application forms and member directories. 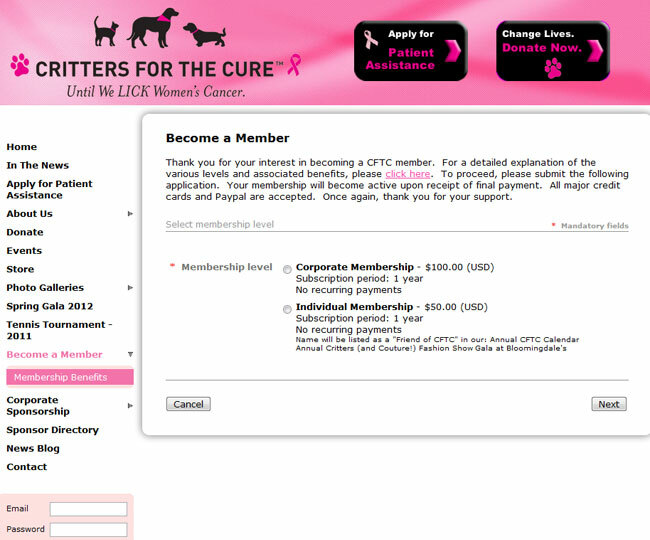 First, if you haven't already done so you'll need to set up membership levels (see help documentation). You can add custom database fields for specific membership levels, so if you require more information for a particular type of member, you can apply those extra fields to the appropriate level (see help documentation). 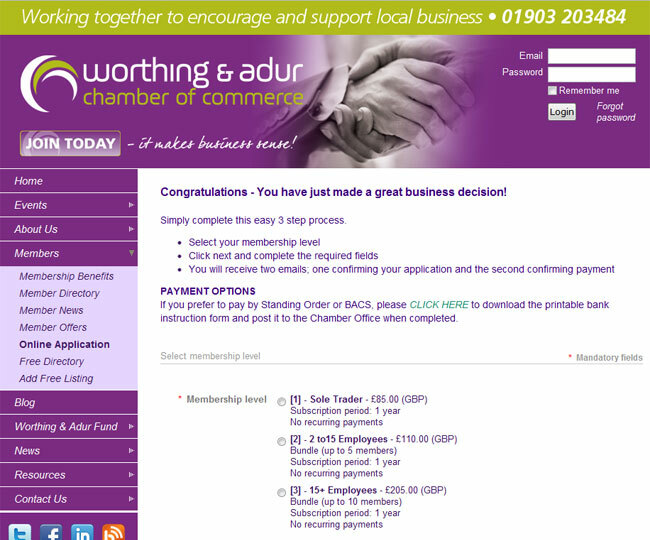 Once these are configured to suit your needs, you can set up your membership application forms (see help documentation). If you want to set up multiple forms, you can change this in the form's settings, by selecting which levels to show on a particular form. 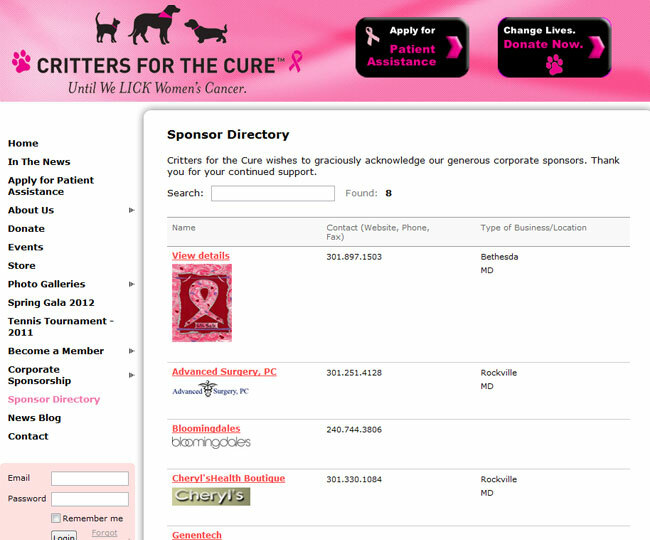 Lastly, to set up different membership directories -- for example, a public one for sponsors, and a members-only directory that requires a login -- you would create your directory pages first with different access levels (see detailed help), and then for each directory, select the membership levels that feed into that directory (see detailed help). As always, if you run into any issues customizing your site, you can contact our support team for further assistance. 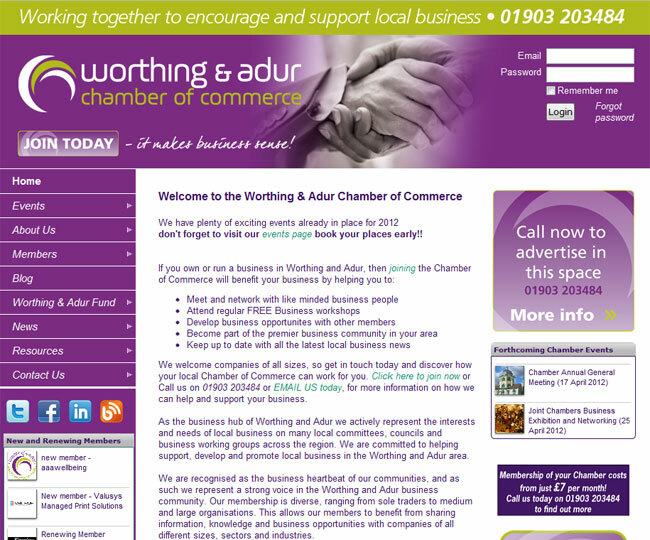 This chamber of commerce in the UK provides local businesses with two listing options: a paid membership, that comes with a complete listing in their public member directory, as well as other perks; and also an option to sign up for a free listing, which also goes into a public directory, but with less information than their paid members. 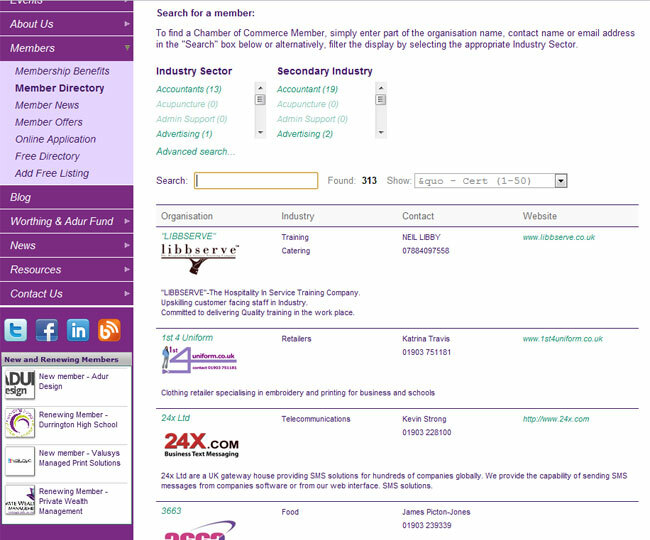 Their member's directory provides advanced search by category at the top, and members have some profile information posted, along with their logo. 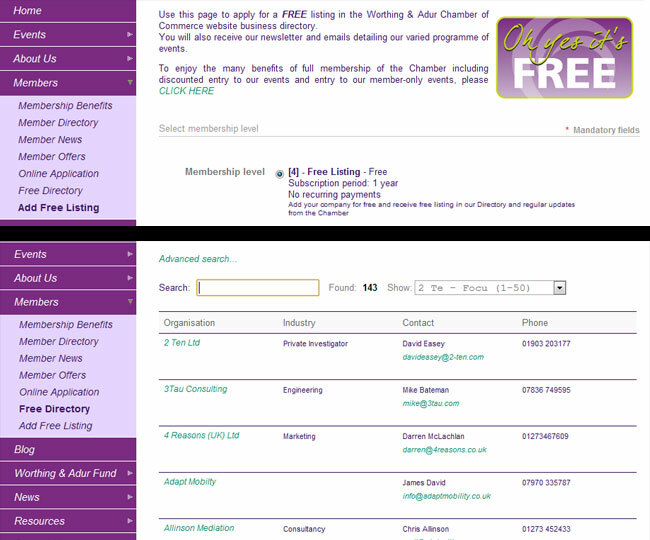 In contrast, their separate Free Listing Directory does not include as much information, providing value for their paid members. 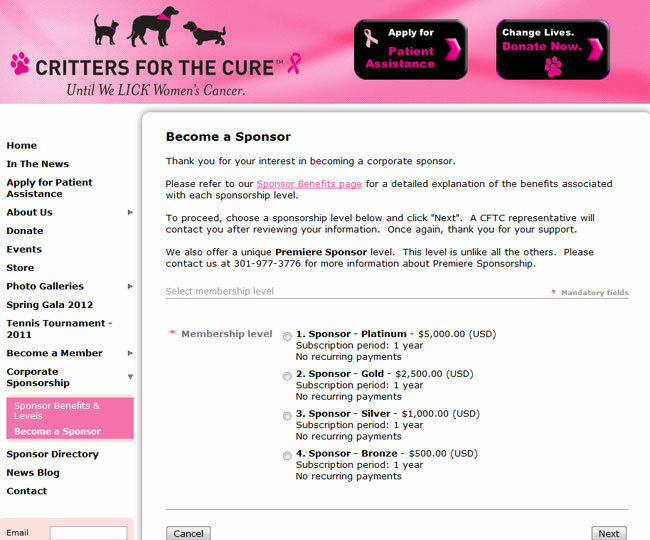 This organization uses their multiple membership applications to separate members from sponsors. Do you have an example of using multiple directories? Or do you have a question about Wild Apricot software? Let us know! It would be nice to have the same grouping available for contacts not just members. For example I have a select group of contacts that I send only our virtual program information but these people are not paying members. I know I can group members, but I can't group contacts. Would love to have this capability. The code is there it would just need to be applied to contacts as well. I'm probably over simplifying it. Thanks. Thanks for this suggestion, we'll pass it along to the development team. One idea in the meantime is to designate membership levels that you use only for 'contacts' -- you can simply exclude these folks from things such as members only content, and it will be transparent to them that they are actually members in the back-end. We have several non-member membership levels --Friends of ICAAP, Prospective Member, Committee Only, ICAAP Staff. In addition, we make a lot of use of the Group Participation field. It has taken a while to set up, and I am making adjustments all the time, but we can slice and dice pretty much any way we want. The only area that doesn't work too well is in the event announcements, where those non-members groups fall into the members category, so some of our event announcements have to be done as manual emails instead of scheduled automated emails. Rick -- thanks for that, we'll check it out. Sandi -- good point about events. I don't think there's a easy fix for that right now (other than what you're doing, sending emails manually) but I'll pass it along to the team as a possible future addition.